We are prominent natural Iron Ore mineral trading and marketing company. Tidy Mart have extensive relationships with leading Sugar Manufacturers and Suppliers in Brazil, India, and Philippines. 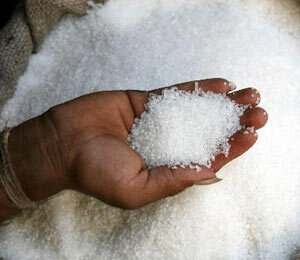 We organise and supply raw sugar, brown sugar, refined sugar from as per your requirements. Tidy Mart always double checked. POP, CL, PB, POF, etc, are frequently forged, and have lost their original value. We frequently see "bargain offers", like "cancelled order, ship on high sea", "incredible but true", and so on, which does not exist at all. Of course, there is a great deal of naivety among potential buyers. We are supplying both FOB and CIF to basic for genuine buyers who are willing to do long term business with our Company. Delivery starts 50 days after opening the SBLC and DLC. The shipment will be arranged by the Tidy Mart for delivery of Commodity within 15 days after the receipt of an Acceptable Payment Instrument from the Buyer. Tidy Mart will specify the Shipment Date after SBLC and DLC is confirmed to be operated for payment into Seller's Bank Account. N/C Brazil, India, Malaysia, and Philippines, at Seller's option. Indeed, sometimes we can offer larger volumes, like 10,000 MT or 15,000 MT, provided buyers permit partial shipments. Usually, buyers do not need the sugar to be with them at once. They can buy larger volumes, for weekly shipments, for instance. This can avoid buyers to have large amounts of money blocked. Irrevocable, confirmed, fully funded and transferable Documentary Letter of Credit (DLC), issued or confirmed by a bank acceptable to the Seller, payable 100% at sight against documents on a shipment-to-shipment basis. Feel free to contact us to know more about our professional Sugar Imports and Exports Trading Services. Tidy Mart Offers Customized Sugar Imports and Exports Trading Services.